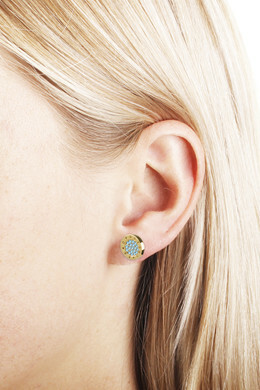 Modern and simple, yet elegant studded earrings. 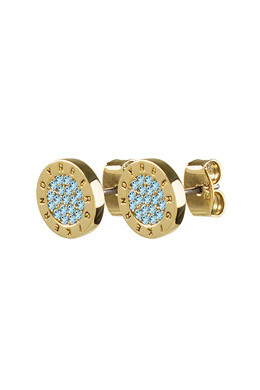 The earrings are made in a gold toned finish with a centre of facet cut aqua coloured crystals and DYRBERG/KERN logo engraving on border. With butterfly closure.